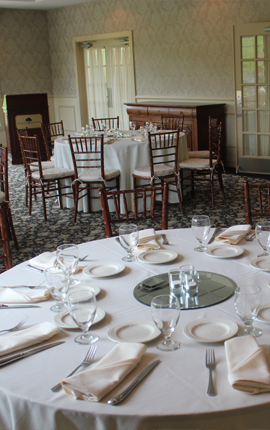 Sterling National Country Club’s meeting and function services are available to the general public. Membership is not required to take advantage of the finest special events venues in central Massachusetts. Conveniently located just eight miles from 1-495, Sterling National can accommodate groups of up to 225 guests. From an intimate private meeting to a large reception, Sterling National stands alone. The breathtaking natural setting is unequaled in the region. We are able to deliver exceptional food to state of the art audio visual technology as part of our exclusive Hospitality Plus. Our professional planners are ready to assist you in every way. For menu information or to schedule a tour please contact us at 978-422-0275.